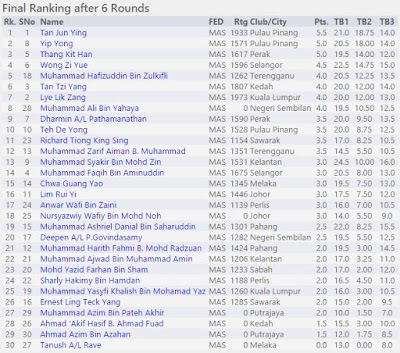 The final round of the MSSM chess championship for 2015 Edition had completed this morning. Lots of surprises, joys, tears, victories and defeats had happened. Below are the final ranking for the Under 12 categories. 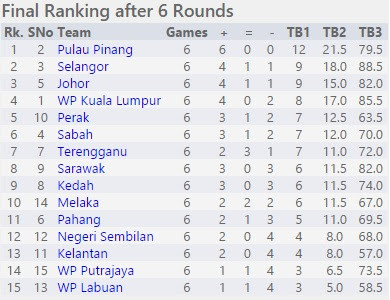 Both WP Kuala Lumpur and Pulau Pinang have won the Under 12 Team events each. The former won the Girls section while the latter won the Boys section. 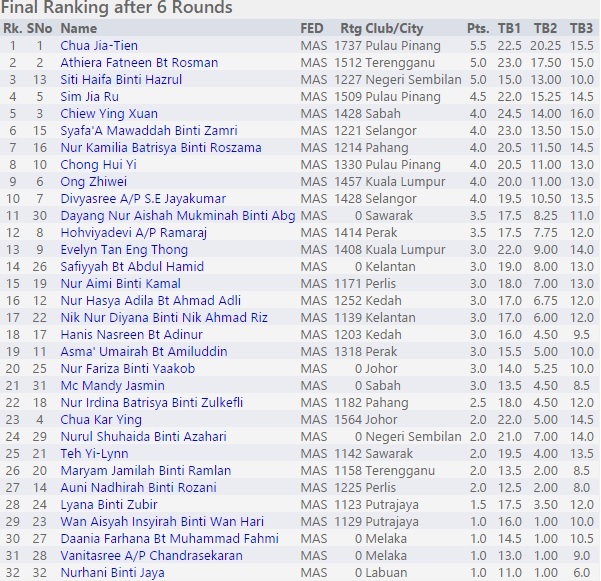 Selangor has emerged as the 1st Runner Up in both sections. 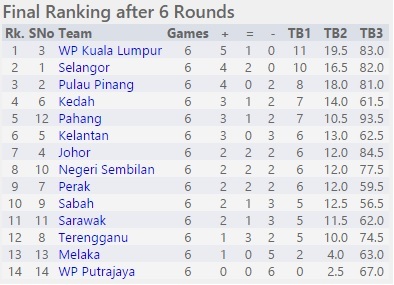 In the Girls section, the WP KL P12 team has won five rounds and drew one. The team scored 11 match points and 19.5 out of 24 game points. WP KL - Gold, Selangor - Silver and Pulau Pinang - Bronze. 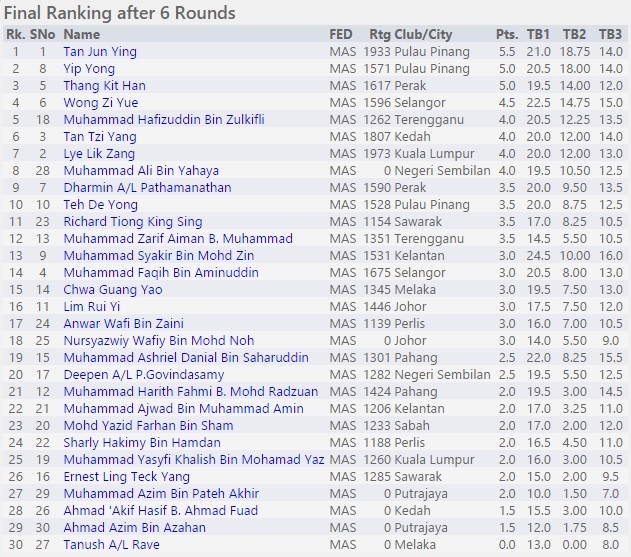 In the Boys section, the Pulau Pinang L12 team has won all the six rounds. The team scored the maximum 12 match points and 21.5 out of 24 game points. Pulau Pinang - Gold, Selangor - Silver and Johor - Bronze. Pulau Pinang has grabbed both Gold medals of the Individual events. 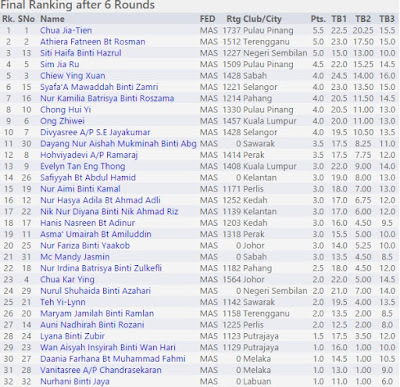 GiLoCatur cannot believe the fact that no Selangor and WP Kuala Lumpur players in the Top 3 in this Under 12 Individual event. It is surprising. Can anyone provide the answer for this?